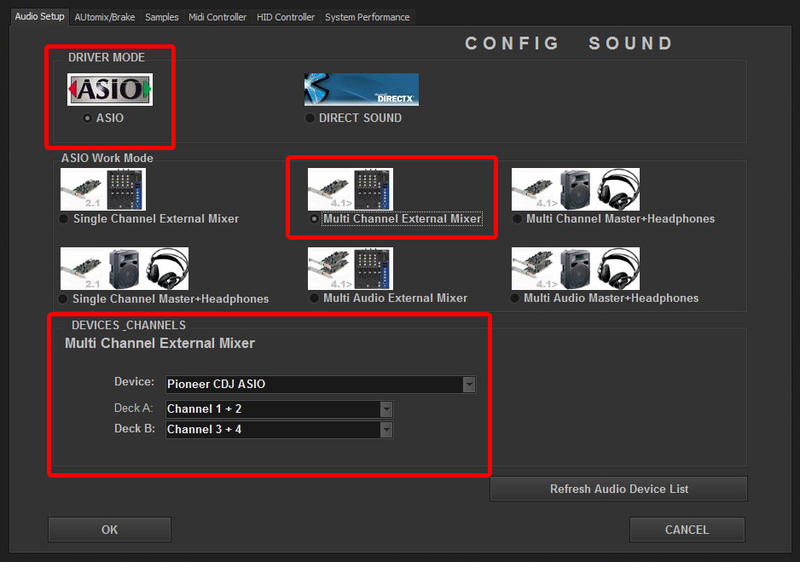 HOW TO SET UP CDJ / XDJ? 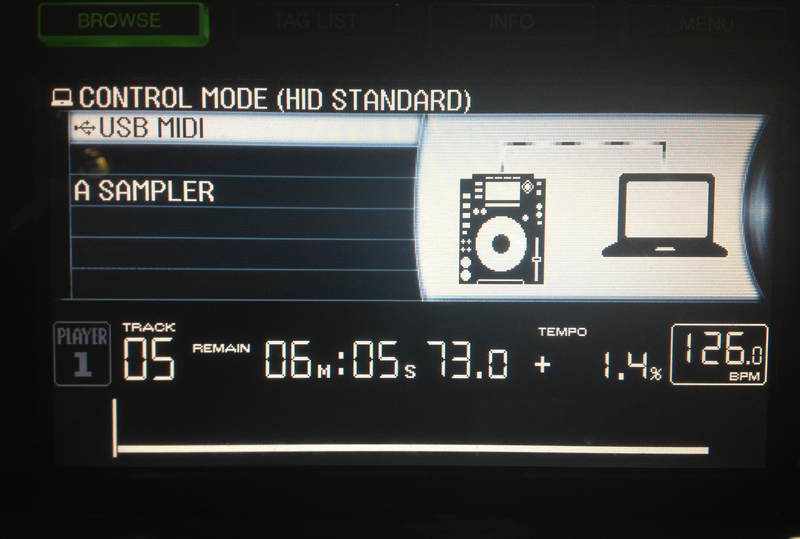 Your System must recognize your Pioneer CDJ / XDJ as Audio and HID device before configuring in DJ ProMixer. 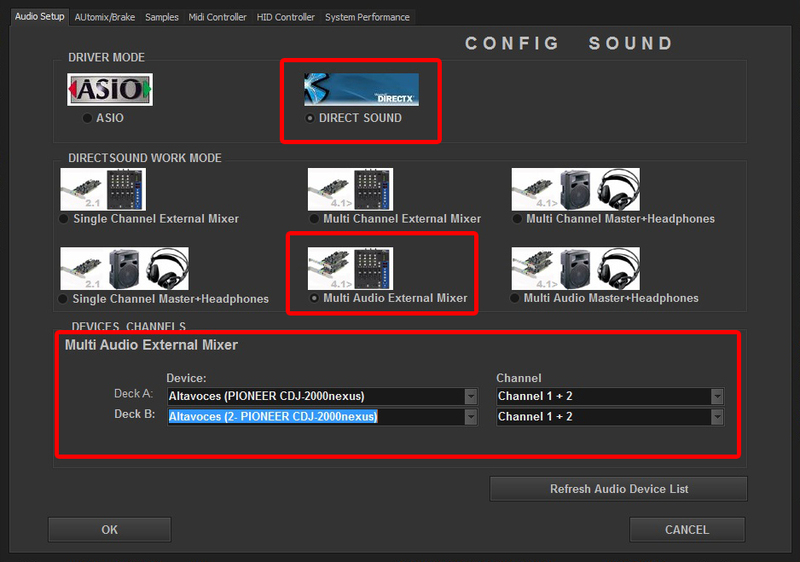 (For other configuration choose your Work Mode and Audio Sound Card). IMPORTANT: Normally you don´t know what´s the first device recognized, it depends of the system, then if your devices are inverted, you must to swap it on the left side of the HID PORT. 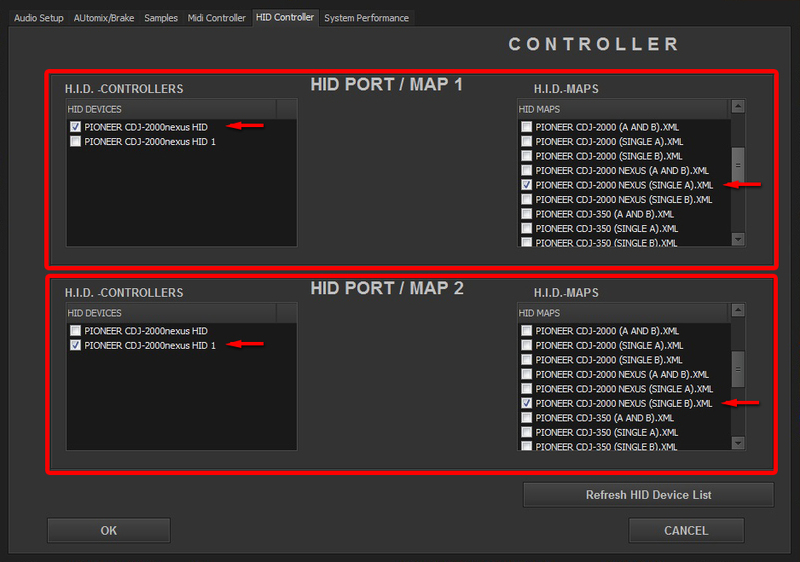 Select in HID PORT / MIDI MAP 1 on the left side your PIONEER CDJ / XDJ-(your model) HID and select on the right side PIONEER CDJ / XDJ-(your model).XML. 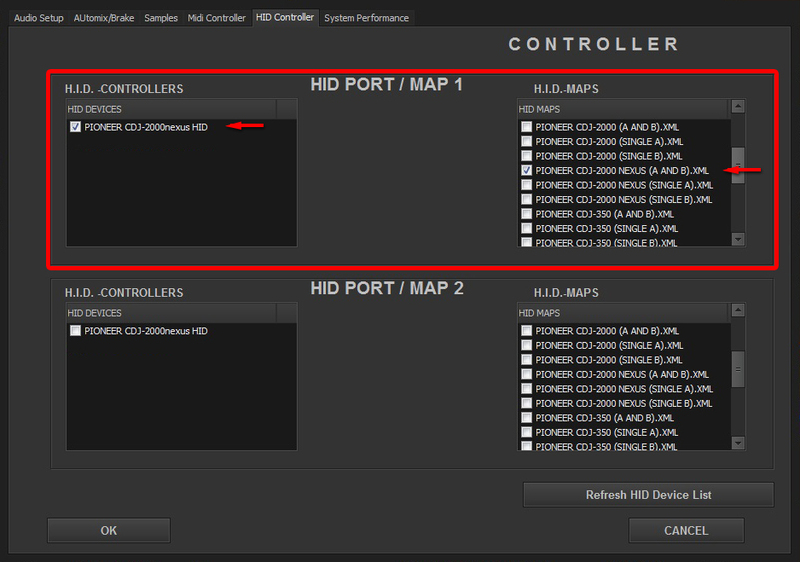 Nothing selected in HID PORT / HID MAP 2 How to change the decks? By default your CDJ / XDJ start in “A” Deck to change to “B” in Dual mode you have two ways: 1- Hardware: By pressing “Back” button. 2. Software: By clicking the headphone button of the selected deck. This entry was posted in Compatible Hardware and tagged Audio Device, Audio Sound Card, DJ ProMixer, HID Control Audio Set UP, HID Controller, HID Device, HID Map, Pioneer Asio Driver, PIONEER CDJ by DJ ProMixer. Bookmark the permalink.